Bad: Promotional app, limted features. 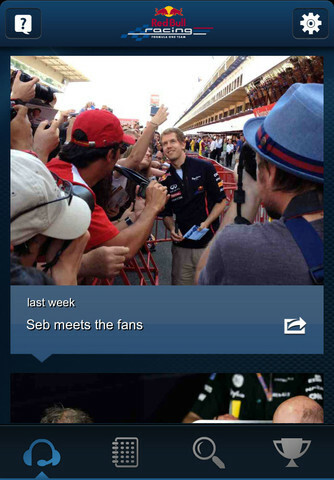 Red Bull Racing Spy is a courtesy in the form of an app to the present Formula 1 world champions. In general, F1 apps are quite hard to sell. These apps appeal only to a given team but they do not invoke interest in most other people unless they have a killer feature to give them a unique edge. Red Bull Racing Spy would fall under the few apps that satisfy that statement. 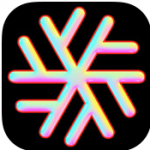 The Red Bull company has 15 different apps at present on the iTunes app store. This implies that their developers surely know what a good app needs and that experience reflects in Red Bull Racing Spy. The tabbed content provides an instant display, with graphics coming alive on the screen of your iPad or iPhone. This team has shown a unique approach to social networking by taking on Twitter with their account. This paves off very well in the web world of apps, wherein regular updated need to be blended well with facts and news. If you manage to look in a little deep, you shall find means to add F1 sessions to your calendar. This is sure to come with the next season but it makes more sense for hard fans to add reminders on their calendar a long time before the season begins. The integration of the app is seamless, but the implementation takes around three to four months late. 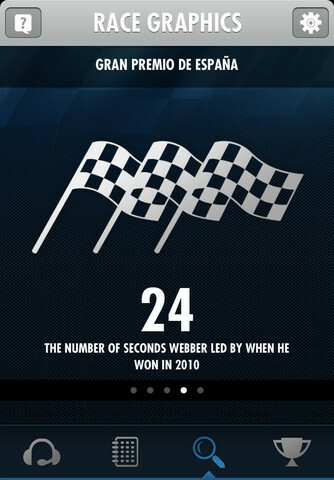 The infographics of the race is a highlighting feature of this app. The pages are laid out very well. The display is wonderful on the retina screens of the Apple devices, especially on the iPad. Every sheet of races is absorbing and catches your eye, holding it for a good time. The bonus facts are very knowledgeable, useful and a bit quirky too. They are indeed rare facts that almost nobody would know about but would love to know. As if this is not enough, Red Bull Racing Spy has race results, excellent picture gallery and championship standings. The picture gallery has rare pictures that are wonderful and never seen before. Nothing makes the app as popular as the positioning of lap by track, which was said to be a part of this app a little before its release officially. This would mean that two cars that are represented by dots, move in real time around virtual tracks. This indeed could have been that killer feature, if only it were incorporated into the app. It was also said that the results table would automatically and instantly update as the cars crossed the finish line. This feature too is missing. Text updates during the race were also expected, only to disappoint the fans. McLaren now has its concept checked over with radio traffic that’s missing, strategy information and a lot more on their website. The take of Red Bull is not as widespread but the updates do come quite in handy when you are unable to watch the race on television. 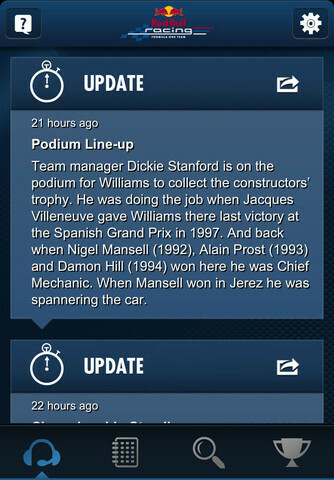 For F1 racing apps, live track positioning and better text updates will help glue all F1 fans to this app. However, it could be because of the fact that this is a free app which targets Red Bull followers alone. 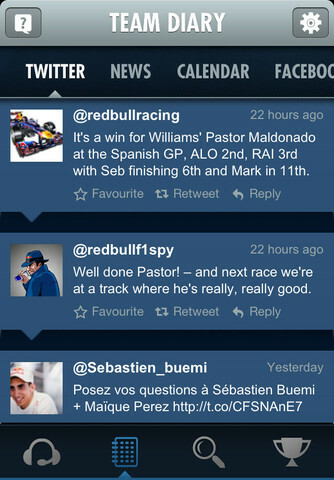 The Red Bull Racing Spy app is designed quite well, and has the potential to push F1 fans beyond interaction boundaries. Facearound : Hang Around Freely !